You will join the bus to Cappadocia from Olympos. 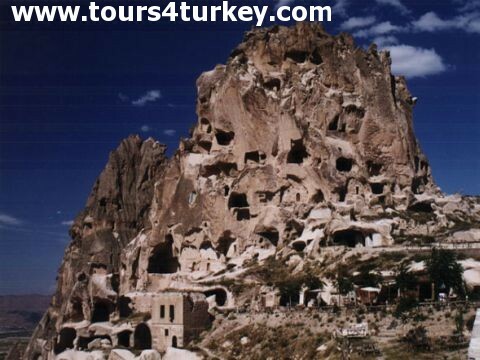 On your first day you will explore the Northern Cappadocia. 06:30 Arrival in Goreme, transfer to your cave hotel & check in. Today you have the chance to see the endless beauties of Southern Cappadocia. HOSPITAL MANASTRY: One of the oldest manastry in Cappadocia.